Collaborative hosting requires comfort and trust within and with each other to ensure the intended goals and outcomes will be achieved, while getting there in different ways. This month’s storyteller, Mary Frances Fitzgerald, and her hosting partner, Melinda McNie, have been teachers for a collective seventy years. Individually, and working in partnership, they bring experience in intentionally arranging their learning settings to suit their audiences. They know the value of preparation, improvisation and seizing emergent teaching moments. They have learned and earned their comfort and trust in each other and knew they could rely on one another when they experimented using The Circle Way within an established group. 1. Become an intentional host. From our invitation, to clarifying our intention and session goals, we prepared the space and our participants for the circle. When they arrived, we were ready to begin in The Circle Way. Together we compiled the list of items we would bring for our center, making it a shared statement of who we were as a team. We each brought favorite pieces that held special meaning for us, and to the audience it became a single and unified center, which became amplified when they placed their objects. 3. Share who you are through what you bring to the center and beyond. Our preparation included how to address the functional part of our goals for the day. The outside of the circle was equally tended to, by having pens, post it notes, recipe cards, and other useful resources to help our participants do their work. We hung the Agreements in large format, easily read when people arrived. We considered our venue and knew that transitioning from circle to small groups should be done effortlessly, and so set up our small group work stations ahead of time. As teachers we are used to accountability, documentation, assessment and the need for data. For this meeting, we knew we needed a willing scribe who was knowledgeable with our intentions and was able to capture not only the essence of the day, but also the data of the day. To help our scribe be successful, we described our design and methods. Photographs complemented the written word. 5. Be explicit in your needs so everyone understands the goals of the day. The work of the day is capped by the beginning and the ending of the session. The welcoming and the notion of arriving, being in the moment of space and time is setting the tone of acceptance and readiness. We believe in the importance of validating the participants in their roles as “leaders in every chair.” From our experience, teachers often find themselves in the business of human ‘doings’ rather than human ‘beings’, so endowing them with the label of leader is respectful and deserving and resulted in great conversation and thinking. 6. Without judgment, embrace the humanity and knowledge that your participants bring to the circle. Mary Frances Fitzgerald M.Ed: Mary Frances had two specialties during her teaching career, drama instructor and school counsellor. Now retired from the classroom, she stays involved in education by consulting for a large public school district working with Community Helpers - a mental health and suicide prevention student- focused program. 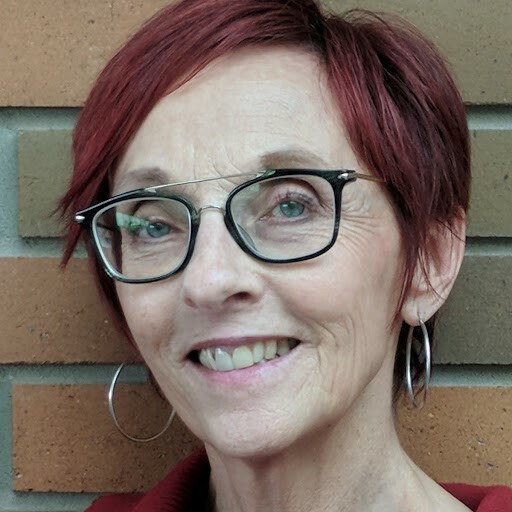 She is Vice President of the Alberta Teachers' Association (ATA) Provincial Council of School Counsellors and facilitates professional learning for teachers across the province as an ATA instructor. Her passion is reducing stigma, creating awareness and building capacity with students and educators. Melinda McNie M.Ed: Melinda is the Coordinator for the Community Helpers Program, a suicide awareness and intervention program for youth with Edmonton Public Schools. She also is an educator for the Institute of Sexual Minority Studies and Services at the University of Alberta, Faculty of Education. She taught and counseled in schools for over thirty-five years and for eight years, facilitated Gay/Straight Alliances (GSA’s). Melinda is a certified Emotional Fitness Coach, Go-to Educator, and Circle Way practitioner. She practices yoga, hikes, snowshoes, is an ardent lover of travel and adventure, striving to participate fully in her own life.